BLUF: The churning game has changed. No longer do you just get a card for the one time bonus, but now you have more incentives than ever to keep a card open forever. Since AmEx has a strict 5 Credit (not charge) Card Limit, you need to maximize each card slot. (Please use my AmEx catchall link here to get to that goal). If done right, you and your player 2 can get $9,200 worth of travel credit to use towards your 30 days of paid leave per year. I looked into a flight from ORD to JFK, and one Main Cabin tickets is about $366.60 for a total of $733.20 for the pair. If we use the normal Delta Platinum Companion Pass we only pay $395.20, or a $338 savings using the Platinum companion pass. 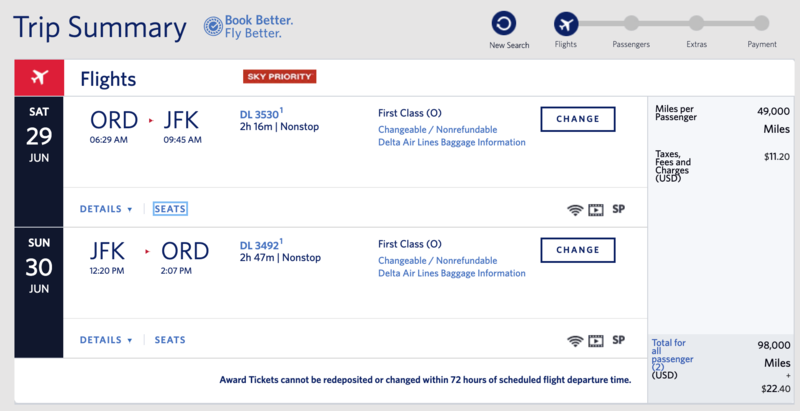 If we wanted to be super bougie we could get a pair of first class tickets for $1,089.20, or if we used the companion pass from our Delta Reserve card we only need to spend $573.20 for a $516 savings. But If I just used Delta Miles I could use 98,000 Delta Sky Miles for the $1089.20 flight or a solid 1 cent per point. 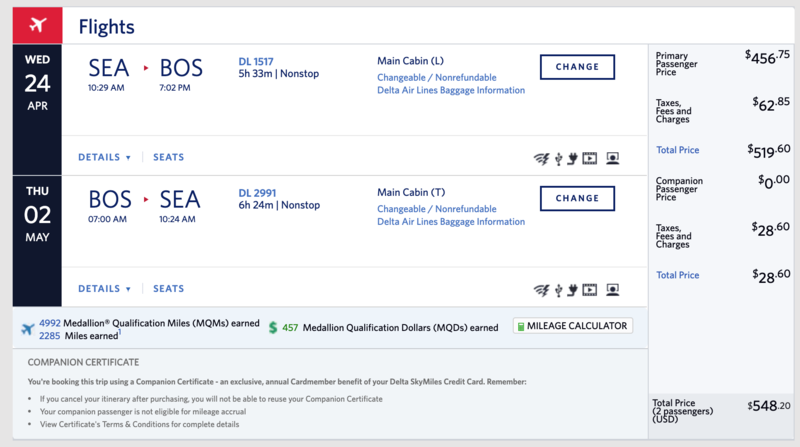 You can get this many points and more from the blue, gold, plat, and reserve Delta Cards. I could only squeeze out $516 of value from this one card which is pitiful considering you get $1,000 from Hilton Aspire and $800 from Bonvoy Brilliant. 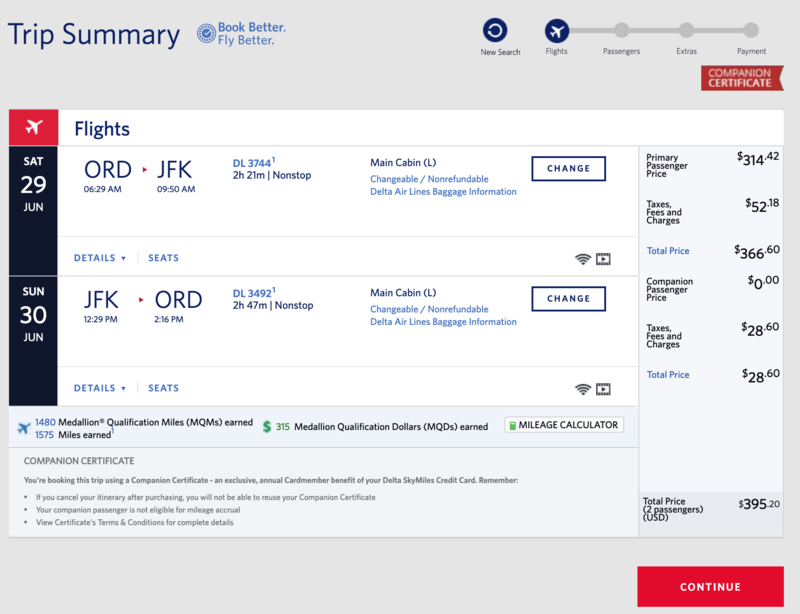 For a transcon flight from Seattle to Boston you would only save $456 max for a main cabin ticket. 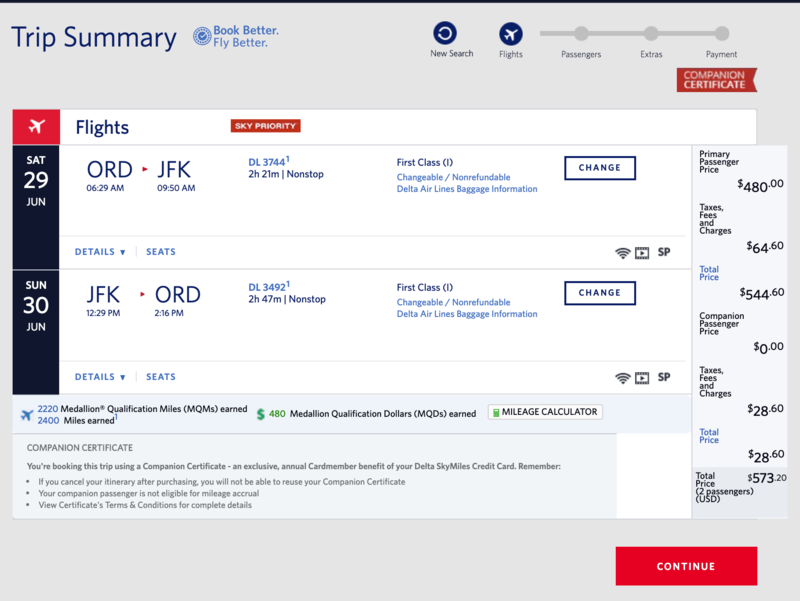 However if you use it for first class you could save up to $1,135.35! The bottom line is if you are not using the companion pass to fly a long haul route like Hawaii to Mainland (only for Hawaii Residents) or trans con SEA to BOS or JFK, it might not be worth taking a spot in you AmEx Card Portfolio. It would be hard to get $1,000+ in savings using a companion pass for pure domestic travel. I for one am planning on replacing both of my Delta Cards with the Hilton Honors card and the Hilton Honors Ascend card to upgrade to my second and third Hilton Honors Aspire Cards. Don’t get me wrong, the 3 Delta cards I got have been a boon for free Delta Sky Miles that I have spent on Champagne and free flights! 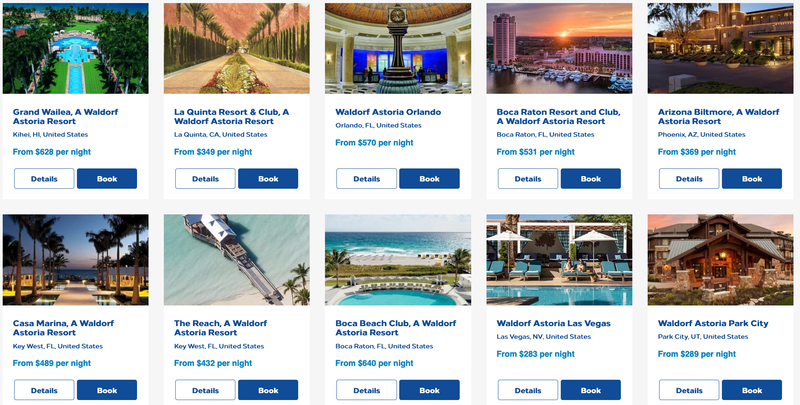 Assuming we are using the free nights at a cost of $500 a night, the 5 card portfolio would mean $4,600 in free luxury travel every active duty year due to the $2,250 in annual fee waivers. With a player two you could get $9,200 to use towards your 30 days of paid leave per year. Again this is the greatest retention tool of all time! Please use my catchall link if you want to apply for any of these products mentioned. The last part was awesome! So much possibilities. Might hop on that train with P2 in the near future. Great post! Can the 250$ and 300$ hotel credits for the apsire and brilliant be used for the actual room itself? Or does it only apply to extra fees? For the marriot products the hotel credit can be used against the room itself, not sure about hilton. Yes the $250 for the Hilton Aspire will work only at Hilton Resorts towards the room rate. I’m curious why you went with the Bonvoy to get a second Brilliant card instead of getting an Ascend to get a second Aspire card first. Because I am an idiot, I had a Hilton surpass and i closed it to open the Hilton honors aspire. Then they decided to discontinue the SPG card (which I had closed for the SPG Lux) so I opened one on the last day they offered it. Not ideal the way I did it!